Cute caps for photos of our small dogs dogs graduating from training school. Arrived timely and the caps are well made and adorable. Complete the look of your Plush Graduation Animal by including this fun academic hat. 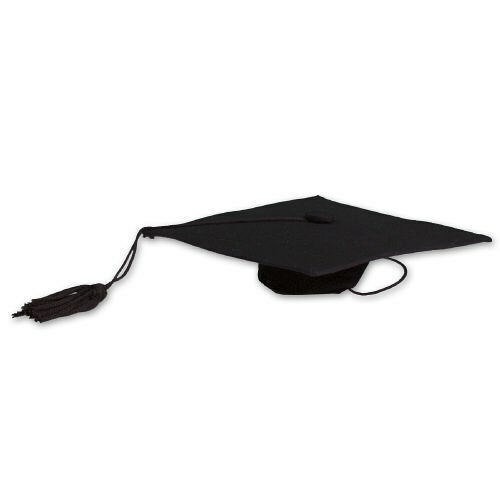 This black graduation cap features a tassel and strap that keeps the hat securely fastened to your plush animal. Graduation Cap measures 5" x 5". Additional Details 800Bear.com offers an entire collection of Graduation Bears and Plush Animals that make excellent gift ideas to congratulate your new grad. View our wide variety today and also find our Personalized Class Of Teddy Bear & our Personalized Graduation Teddy Bear as well.